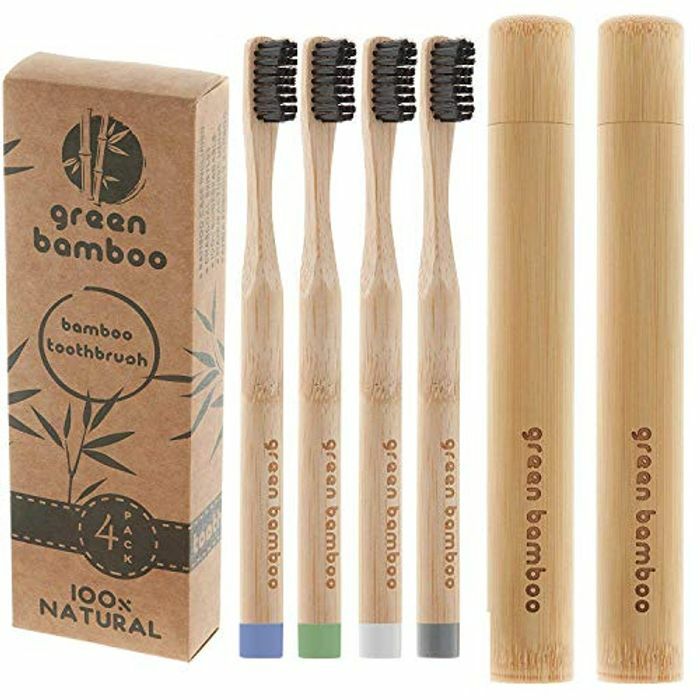 100% ECO-FRIENDLY - The Green Bamboo toothbrush is 100% organic and biodegradable with no impact on the environment comparing to a normal plastic toothbrush. You can brush your teeth while saving our planet. BAMBOO TRAVEL CASE - We include 2 high quality wooden cases for our toothbrushes. You can use it to keep your toothbrush clean and dry in the bathroom or while traveling. It is made with 100% panda friendly bamboo just like our toothbrushes. CHARCOAL BRISTLES - Our toothbrushes have a charcoal infused bristles which are a natural way for whitening the teeth. COLOURED ENDINGS - We provide our toothbrushes with 2 coloured endings - WHITE and GREY - thanks to that you won't use someone's brush by mistake. Coloured endings also help to increase the lifespan of your brush because they prevent water damaging your handle while left in a wet cup. HEALTH BENEFIT - Bamboo is proven to be anti-microbial, anti-fungal and anti-bacterial. Combining those benefits of bamboo with a toothbrush will have a positive impact on your dental health. These are a great idea. Thank you very much for sharing. Fabulous price and helping the environment! They're really expensive usually, so thanks for sharing. I don't see a voucher. Have I missed it?